RV Sheets, Motorhome, Camper Bedding. Made to order - any size. A higher quality blended material... 200-250 Thread Count Percale is 50% Cotton for softness and 50% polyester for no iron ease of care. This fabric remains durable after repeated washings for lasting quality and comfort. Indulge yourself with this fine 600 Thread Count Pima Cotton. Soft and rich to the touch, this beautiful cotton fabric has a sateen finish and is wonderful to sleep on. From Lumber to Slumber Northwoods Flannel from Bedderbedding will keep you warm on a cool night. 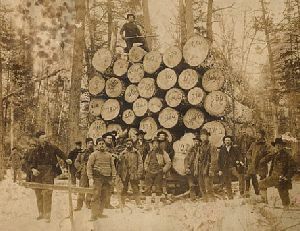 Wisconsin's Lumbermen wore it to keep warm, now you can sleep on and under it. 100% Cotton... feel free to snuggle in your cozy, soft and warm flannel.